It was previously revealed that Modern Warfare 2 will have only two map packs, and they would be Xbox 360 timed exclusives. 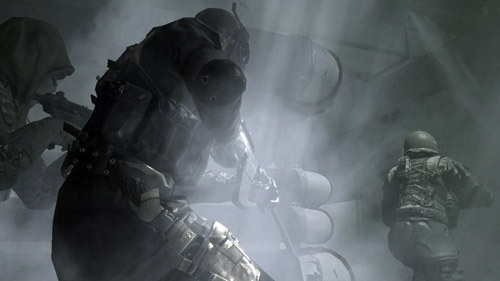 But now Robert Bowling, Infinity Ward's community manager, has given more information about their plans for MW2. Apparently Infinity Ward has plans to give the game heavy post-launch support, Bowling confirmed that the game will have AT LEAST two map packs. They are also going to be taking community feedback from the retail version of the game and first two DLC map packs, so future updates will be made based on what the community wants. In comparison, the first Modern Warfare game only received one map pack and the latest game, World at War, has three map packs available at this time. Over 8 million Call of Duty map pack downloads have been sold to date.